After I lost my job at the end of February, Jordan and I were immediately thrust into the overwhelming stress of living off a single income. At the beginning, I handled it as well as you would expect, which is to say, not very well. And in case you're thinking, "Well, she had her unemployment check to tide them over," let me be clear: I did not have an unemployment check. That was the low point. There's really nothing worse for your ego or sense of self-worth as a human being to receive a typed, one-page paper telling you that not only were you let go from your job, but you also aren't going to get any money to help ease the pain until you can find a new one. The only saving grace that kept me from losing it completely was the fact that Jordan and I were out of debt and already had a successful budget plan in place. 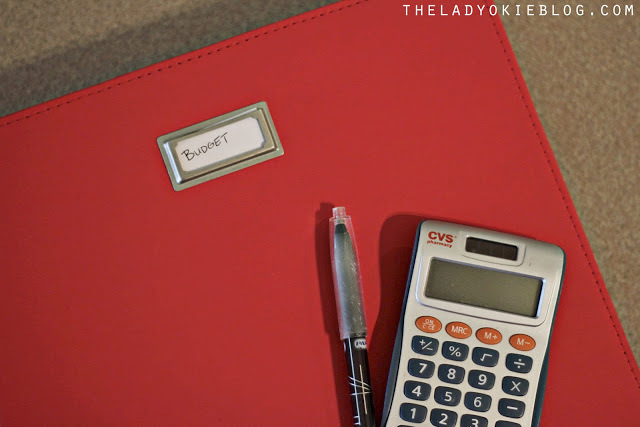 It was only then did I fully realize the true important of having a budget and no debt. It's not for the times when you're in surplus mode; it's really for the times when you're in the red. to fit with your current income situation. I took you through our budget binder in this post and closer examined the categories here. Now, with one entire income taken out (the slightly larger of the two), we needed to re-examine our spending categories. 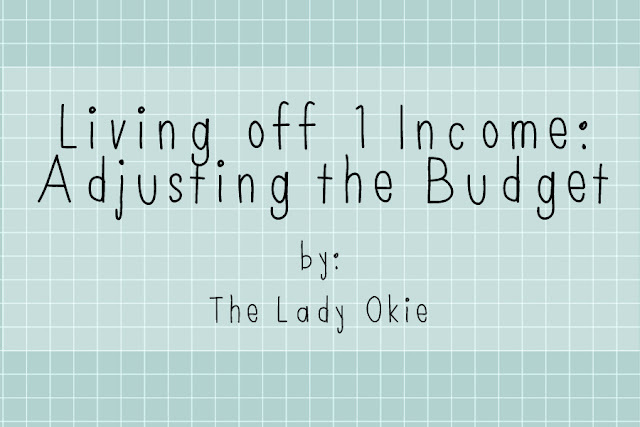 I'm sharing our budget with you because I'm hoping it might help some of you who feel like you can't make a budget on just one income or you don't know how to cut down your current spending categories to get out of debt/build up your savings/survive on a lower income. I'm not trying to complain or sound whiny, because I am so grateful that so far we've been able to stay above our budget for the month. I will also add that I have had a few editing jobs pop up (SHAMELESS PLUG! I'm a freelance editor! Follow my blog for weekly editing/writing tips). I am also doing some office work for a friend of mine, so that's been a huge blessing. But our overall income is far less than what it used to be. Still, we've been able to cut our budget approximately $900- $1,000 per month. The first thing to get cut was our blow $ category, which we cut in half. Instead of $100 each, we got $50/month to spend on whatever we wanted. It might seem silly to still keep any money in this category, but we felt like it was important to still be able to have some personal cash to spend so we weren't going completely insane. I sincerely believe that having a blow $ category in our budget has helped us save money and kept Jordan and I from arguing about finance issues as much as we might have otherwise. We lowered our entertainment budget, so less date nights and eating out. I think we cut this almost in half as well. We eat out at a sit-down restaurant for dinner probably 2 times/month now. This isn't the end of the world once you get used to it, and you can have cheap but fun snow cone dates or game nights without spending more than a few bucks. We lowered the gift budget, so I'm having to get creative about making presents or finding a deal, using coupons, etc. OR, let's be honest, completely forgetting about people's birthdays, which I've done pretty consistently lately. It's been an off year for me. Sending a card in the mail doesn't cost that much and takes a little more effort than a text, so that's always a good option. The final category that we have been working on is our grocery budget. We normally spend around $350 for food per month. That includes when Jordan eats fast food for lunch during the week, but it does NOT include date nights for dinner. Dinner falls under entertainment. Since March, I've been trying my best to cut down our grocery budget by buying off-brand items, items in bulk (I hit up Sam's Club in April when it was open to the public for the weekend holler! ), and cooking cheaper meals overall. As you may have noticed, we've still been traveling the past few months. It helped that I had two free roundtrip airplane tickets, but on my weekend trips to Illinois (because apparently that's the only place I like to go), I still had to buy food, and in August Jordan and I are driving to a friend's wedding. We'll have to pay for a hotel room 2 nights. Thankfully, I'm not freaking out about this because we spent the last year building up our "travel" envelope with money from our budget (more on that here)! So even though we're not bringing in as much as we used to be, we can still travel (albeit minimally; it's not like we're not flying to Europe any time soon) AND we won't have to put any of it on the credit card! Win. THIS is why you have a budget. And why you work so hard to be debt free. So that if/when something happens--be it a job loss, medical expense, or something else unexpected--you don't have to completely freak out. At least that's what I keep telling myself. 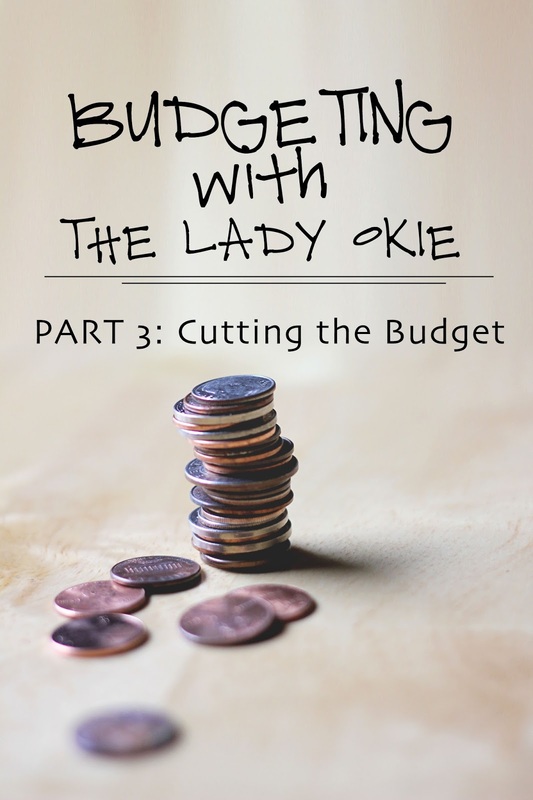 Have you ever had to cut down your budget? What categories did you chop? Good for you!! We need to get back on our budget after moving. Its been an off few months after having a baby and moving. We thankfully are debt free (except the house now I guess. Can you still say you are debt free if you have a morgage?) and always lived off one income (even when I was working) so we wouldn't get used to a two income budget. BUT that being said I'd still like to find a part time job here to have a little fun money! 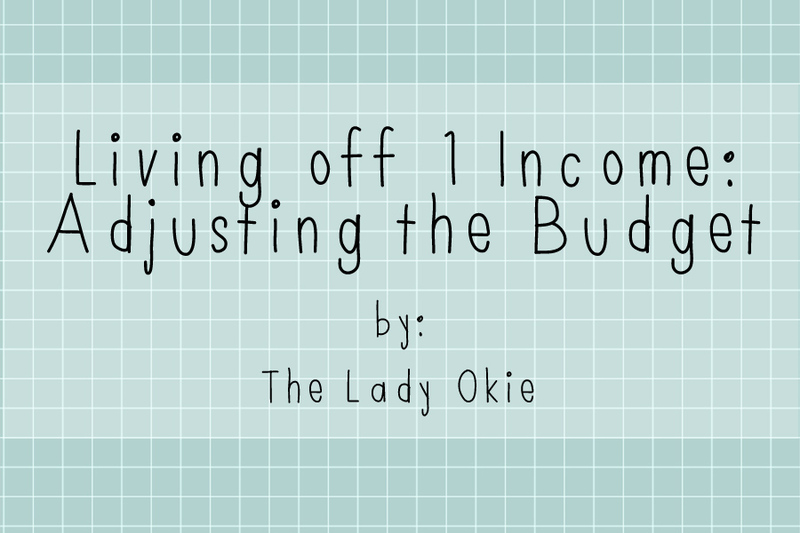 Budgets are very important and it seems like you handled the loss of income in a successful manner. Off brands taste as good as name brands and are significantly less. Pennies add up. I applaud yo! My biggest advice is to get a MyPoints account (I can invite you) and print off coupons from there. 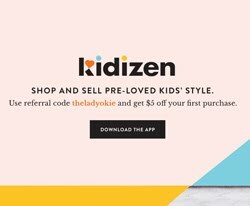 You get the coupons and you get points for using them (and for other things like surveys, searching, clicking on e-mails) and you can save up for giftcards to just about anywhere or PayPal money. WOO! I've been meaning to go back and study your budget posts. No time like the present! You are like ninety million times more organized than I am. I applaud you! Also, if you're looking to slash the grocery budget you have GOT to check out Aldi. I think the closest one is in Moore, but they have great prices on cheese, canned goods, and produce! You have to take your own bags and pay a quarter for the cart (which you get back once you take it back to the return) but seriously, they are great. And they have some frozen food stuff that is WAY better than anything you can find elsewhere. It's mostly european brands, their chocolate is fantastic. ALSO: if you check out their ad online, Wal-Mart will price match their produce items. For instance, I paid .69 for mushrooms and .59 per pint of grape tomatoes at Walmart this weekend, because I had them price match what was in Aldi's sale ad. I've gotten Strawberries for .99 and blueberries for 1.49 that way! Aldi's sales run Wednesday-Wednesday, and always check out the ads from Buy For Less, Albertsons, Crest, etc and make the Mart of Wal price match!!! Especially if that's where you do most of your grocery shopping. i REALLY need to keep a budget book and stick with it. i'm so bad in keeping track of where my money go. That is so amazing you are debt free. We are working on cutting down our college loans (both went to private schools, ugh). Love your binder...somehow I'd never seen it before. Good job! Great blog- Hubby and I are also working on this. It's hard work but so worth it. Thanks for sharing your tips. Sometimes it's good to know we are not alone. Blessings! This is great information! My husband and I learned to do this a few years back when he went through a similar transition. We did a lot of the same things. We use Mint.com to automate our budget and track our spending. It's a lifesaver to have visibility where your money is going! I also made a lot of handmade gifts for Christmas, we cut way back on eating out, I bought clothes WAY less often, and looked for sales/coupons when buying groceries. It really wasn't bad at all, and I've continued these practices (especially tracking on Mint) since that difficult period. It sounds like you're making smart, responsible decisions. Best wishes and I hope projects continue to come your way! This sounds like my husband and I! We have two incomes but we both work at non-profits and make about as much as some of our friends combined. but we don't do it for the money ;) one thing we learned early on is that blow money is most important. we just had to cut our back down from 50 to 30 but we promised it would never go lower. sometimes I need a new summer tank and I don't want to "justify" that purchase just like sometimes my husband needs bio degradable bullets & new goggles for his air soft gun and he doesn't have to justify it either. it helps us love each other better and stay on the same team when it comes to our budget! I so love you attitude on all this!!! This is REALLY inspiring and has given me some additional ideas!! Thank you so much for sharing so thoroughly in each of your posts!! 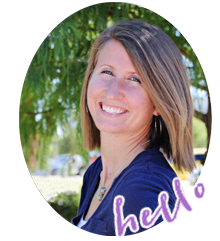 I don't comment nearly as much as I should on your blog- but I ALWAYS enjoy your posts!! Thank you again for this challenging and inspiring one! Make your grocery budget stretch even more by shopping at Aldi for most things. It has been amazing for us. And we're eating more fresh fruits and veggies than ever. If Tate let you go, there's no hope for the rest of us ordinary editors! I hear that place went to pits anyway, I bet God was saving you from more heartache down the road! Grahm and I really need to sit down and make a new budget when I quit my job in January. Crazy how just an awareness of spending can significantly help you! Thanks! This article has been very helpful to me. I have a difficult decision to make soon. 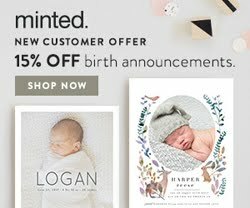 Our company is selling out and I have been worried about making the transition to the new company. It is not likely that I will make it. Not sure I want to, since it looks like a woman with 4 years experience will end up supervising me (28 years experience). I have been worried about handling one income and your article has been very helpful. Thank you!